Meet here our media partners: who are they ? SupplyChainBrain, the world’s most comprehensive supply chain management information resource, is accessed year-round through a wide range of ever evolving multi-media formats by hundreds of thousands of senior level industry executives. In addition to addressing the fundamental principles of supply-chain management, SupplyChainBrain identifies emerging trends, technologies and best practices, forward thinking ideas and cutting-edge solutions-and continues to write and report about these as they evolve and mature. Supply Chain Digital is an innovative digital publication aimed at bringing business executives up-to-date with the latest news, information and trends from across the supply chain industry. Our digital platform includes an interactive website and magazine experience that will bring you inside the world of supply chains including comprehensive insight and analysis about the sector. Supply Chain Online is the UK’s leading Procurement and Supply Chain job site. Every day, thousands of Procurement and Supply Chain professionals visit Supply Chain Online looking for their next exciting new opportunity. On behalf of our clients, we advertise hundreds of Procurement & Supply Chain jobs daily for roles across all industry sectors. We pride ourselves on our ability to successfully work with everyone; from niche businesses to global corporates. So if you’re job hunting or hiring new personnel, Supply Chain Online is THE recruitment website for the Procurement & Supply Chain industry and its people. It doesn’t matter if you are new to online recruitment or a seasoned professional, we make the whole process seamless with hands on technical and administrative support. Supply Chain Media has broad experience in supply chain management publications and takes the supply chain management profession to the next level with the ability to connect people, combined with a strong commitment to spread unique, high-quality content in various languages. This enables the partner network to use best practices – such as innovative mind maps, subway maps and self-assessment tools. There are also custom-made opportunities to develop co-creations which draw on a partner’s in-depth knowledge and expertise. Supply Chain Media is best known for its publications Supply Chain Magazine (Dutch) and Supply Chain Movement (English). Supply Chain Media is a BSMA Europe’s Partner for the congress on May 19th. 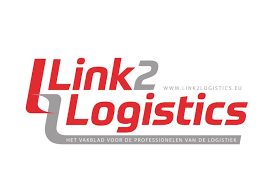 The leading source of information for (e)–logistics managers and all market players having an impact on the supply chain in Belgium. Link2logistics also devotes special attention to logistics backed by e-commerce. – Supply chains: devoted to experiences of the logistics providers. 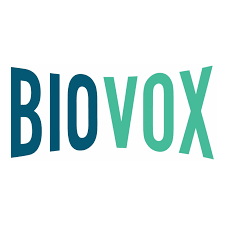 Biovox is a specialized life sciences new and communication platform keeping you up to date on the rapidly evolving life sciences sector in Belgium, and on a global scientific and industry trends. Biovox brings exclusive news, in depth interviews, opinions and white papers on healthcare, agriculture and the bio-based economy. The information is shared with a national and international audience of life sciences professionals, at no cost!